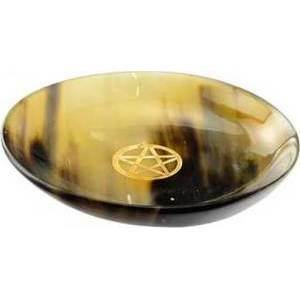 A beautiful ritual bowl made from carved and polished horn with a pentacle. Please note that these are made from real horn and will not be perfectly round or identical. 6" x 1 3/4"